Deep into the fray of the current American car culture, we find that SUV/crossover vehicles, as well as trucks, have dominated the sales charts as of late. With such a move, leaving behind the once beloved sedan, Mercedes-Benz has taken note, and with that, they have introduced an all-new GLE midsized crossover to dominate with the help of advanced tech and careful attention to design to retain its conservative looks. The new 2020 Mercedes-Benz GLE embarks on a new journey, one that was set in motion back in 1998 then wearing the ML badge out of an Alabama factory and promoted in movies like The Lost World: Jurassic Park. The new GLE, carrying the American-made Benz torch, looks to once again signal to the rest of the automotive market that Benz is still a pioneer when it comes to forward thinking – not only design elements but in the clever use of technology to benefit their consumers in such a mainstream midsized crossover utility vehicle. 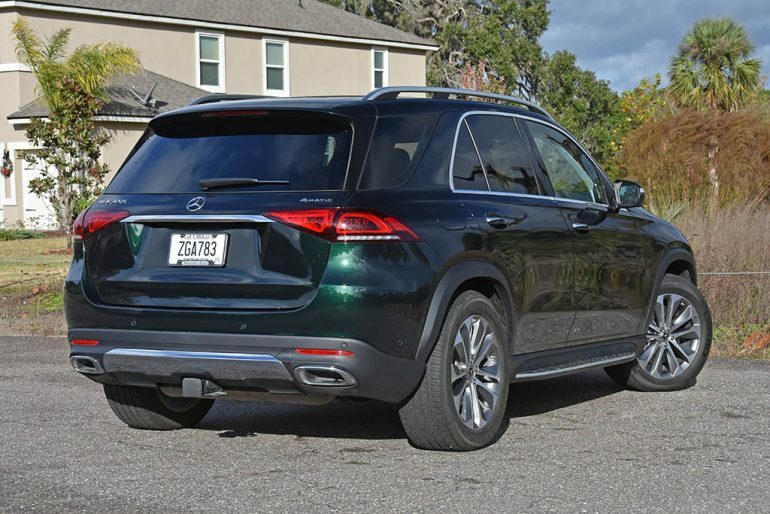 With such said, after spending some quality time with the new 2020 Mercedes-Benz GLE 450 4MATIC over the Christmas holiday, I am about ready to add one to my personal garage. 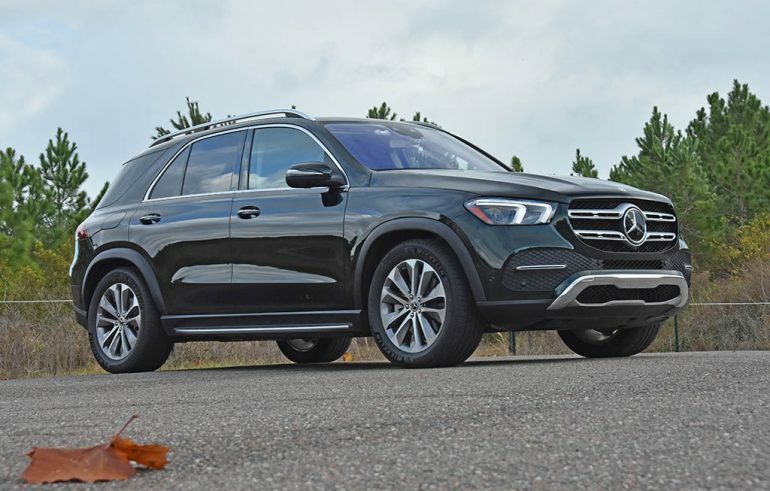 In putting tech at the forefront of what the new 2020 Mercedes-Benz GLE offers, the brand touts their new E-Active Body Control suspension system, which is an iteration of their system that first showed up in the S-Class dating back to 2013. Such a system combines an air suspension setup with hydraulic properties running off of a 48-volt system enabling individual wheel force control. 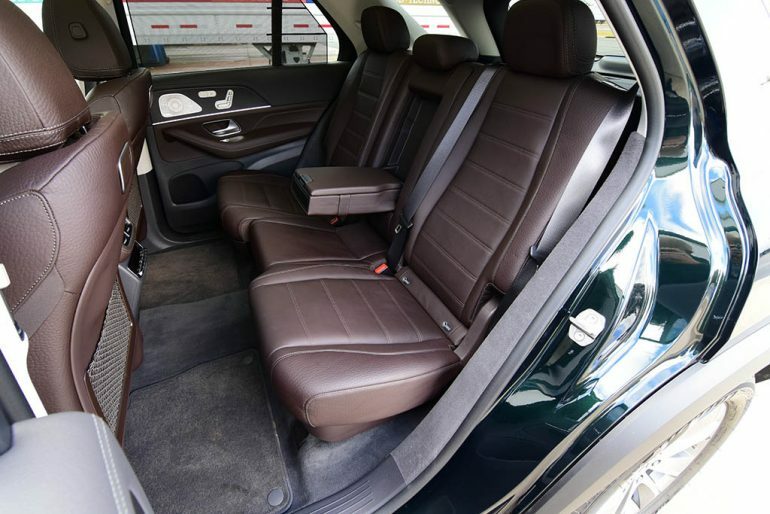 The system utilizes a merit of Mercedes’ systems that include road scan, airmatic, and the magic body control that we’ve been fans of for many years. The advancement of the E-Active system requires a robust 48-volt operating voltage where the system can recuperate energy that is needs to work. Fundamentally, with the system operating in the default Comfort drive mode, it will utilize a camera to scan the road ahead and pre-load the necessary wheels to dampen undulations in the road where in some cases you don’t feel them. The only downside is that the system no longer scans the road come night time. I suspect the cameras require the proper lighting and multiple angles to view depth of potholes and undulations. The derived name of Magic Body Control is fitting, though with the new GLE 450 being an SUV theirs a bit more to the story with E-ABC as the GLE sits up higher than the S-Class and may be taken on off-roading conditions. With the versatility of a midsized crossover like the new GLE, Benz had to ensure the E-Active Body Control suspension system was up to the job of off-roading duties as well as providing the best ride quality of an SUV currently on the planet. Of course, getting to experience the GLE 450 through many different road conditions, I can agree on the notion of it being the best riding SUV around, period. The E-Active suspension system makes millisecond adjustments, literally rises to the occasion to provide additional ground clearance in the off-road drive mode, and adds in a trick Curve setting that leans the body into a turn much like a motorcycle does to counteract the lateral g-forces. In all, the system works excellent and adds in a couple of additional specialization features, such as its ability to bounce the vehicle in the Free Assist program for those times that you are adventurous enough to take the GLE off-road and get it stuck in sand, or loose ruts. The Assist function even permits you to manually modulate individual wheels to raise or lower a portion of the vehicle to navigate extreme terrain. 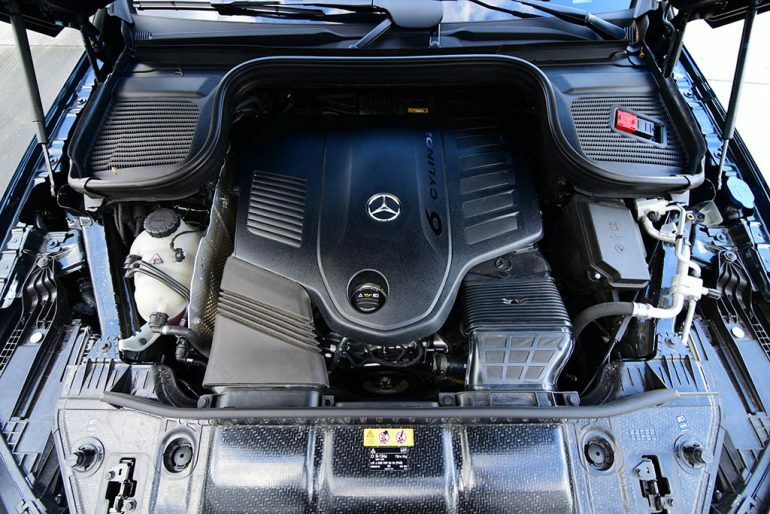 Apart from the new Benz GLE 450’s trick suspension system, there’s still the fundamentals of the midsized SUV that start with a new-to-the-brand turbocharged inline-6-cylinder engine that is married to somewhat of a mild hybrid system. It utilizes a motor for the starter, regenerative power to supply a small battery to power accessories during the start-stop function, and an EQ Boost that can temporarily add as much as 21 additional horsepower when full throttle is demanded. Together, working in sync with a 9-speed automatic transmission, the 362 horsepower and 396 pound-feet of torque from the turbocharged 6-cylinder engine is able to get the new GLE 450 4MATIC up to 60 mph in just 5.5 seconds. When a mad dash to 60 mph isn’t being performed, the new GLE 450 4MATIC looks to get a respectable 25 to 26 mpg on the highway as I observed. City fuel consumption numbers come in around 18 to 19 mpg leaving me with an average of about 21 to 22 to mpg as an estimated combined figure. 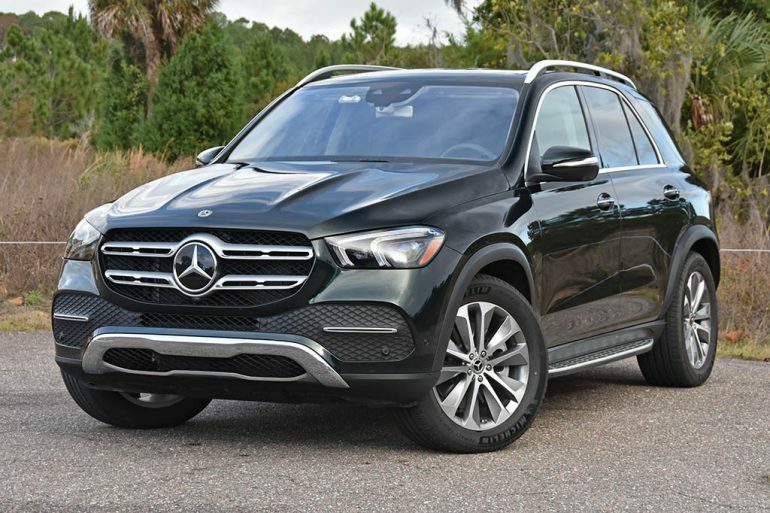 The overall performance of the new 2020 Benz GLE 450 4MATIC is up to par with SUVs in its class and is able to excel when it comes to the way it can handle body movements, which include pitch, dive and lateral movements. Most of this is due to the E-Active Body Control suspension, once again, coming into the picture to actively mitigate body roll and other movements making adjustments in milliseconds to virtually keep the body of the GLE flat and allowing the beefy 275/50 20-inch all-season tires on my test vehicles firmly planted to the road surface. Of course, adding to the performance equation is a Sport and Sport+ drive mode that will automatically lower the suspension system and no longer read the road for somewhat of a firm ride quality but a lower center of gravity to aid in handling when one must carve canyons or make a dash to the grocery store before it closes. 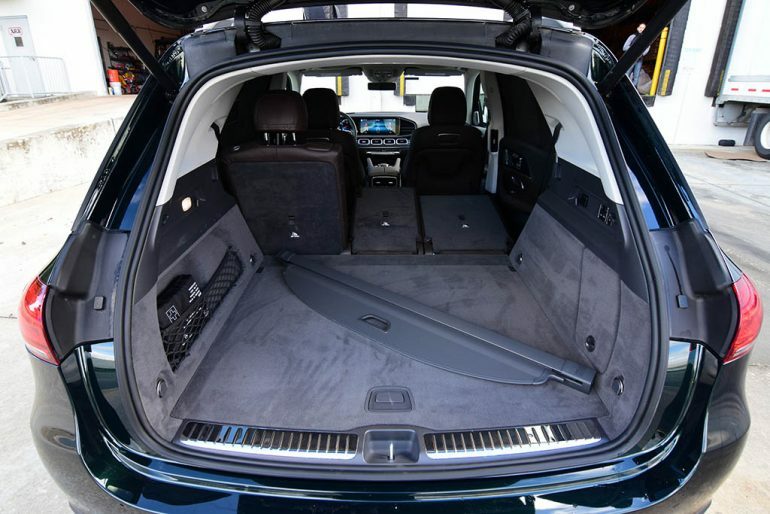 Mercedes-Benz pulled out all of the stops when it comes to what can be used to make their latest midsized SUV one of the most technologically advanced vehicles on the road today. The latest MBUX (Mercedes-Benz User Experience) infotainment unit is among the best I’ve experienced in a luxury vehicle. The system integrates a lot of redundancy of controls from the steering wheel, touchpad, and a large 12.3 inch touchscreen. 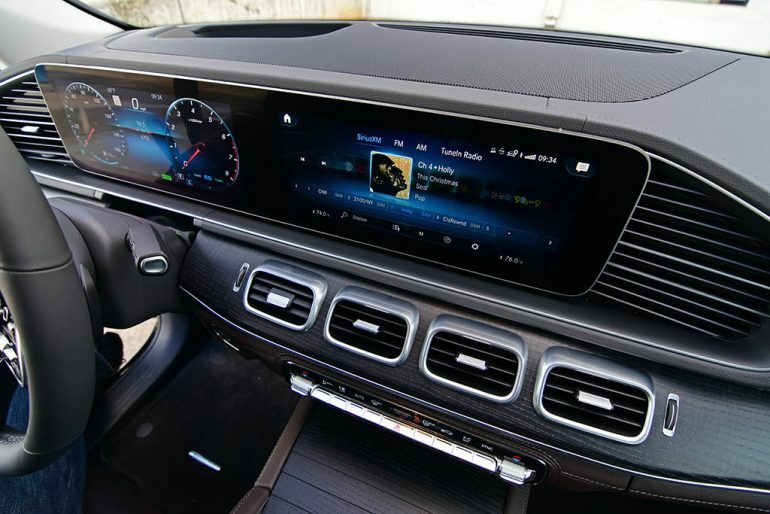 The new touchscreen, which nearly mimics the shape and size of the 12.3-inch gauge cluster screen for the driver, is the focus of attention in the new GLE 450. There is a plethora of vehicle functions all nicely nestled within a series of home screen icons. 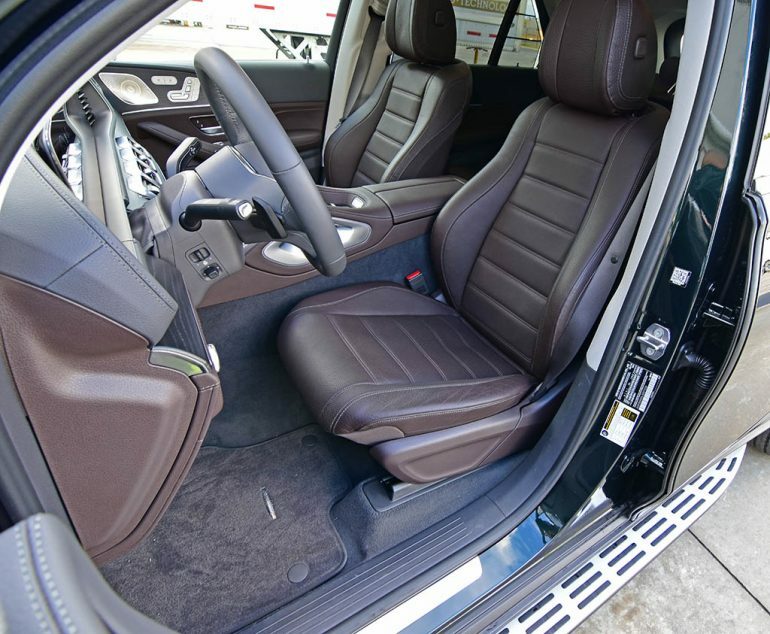 Additionally, there are quick-access functions and drive-mode themes that can be brought up with a quick swipe up on the screen, touchpad, or touch-sensitive steering wheel control. Best of all, there is a new “Hey Mercedes” voice-recognition control that works surprising well, almost as well as the voice function of Siri and Alexa. There’s a variety of functions that can be voiced after saying “Hey Mercedes” from control of the temperature, navigating to a specific address, or simply opening the power sunshades – the voice-recognition goes the distance like no other vehicle in its class. There’s even augmented reality for the navigation system that displays street names with highlighted arrows to tell you exactly where you need to make your next turn overlaid on an automatically-enabled camera image displayed on the center screen. The redesign of the new 2020 GLE takes a careful approach to keep with tradition in the somewhat contemporary styling of the GLE where onlookers have a hard time deciphering the new 2020 model and the previous generation. Though, there are many changes, inside and out hardly leaving any area untouched for the redesign. The new GLE is bigger, more accessible, and doesn’t skimp on using tech to make the drive and ride safer and more enjoyable. The bevy of active safety features all come into play with the added benefit of mild autonomy for driving and a useful traffic jam assist feature. Again, Benz left no stones unturned here. 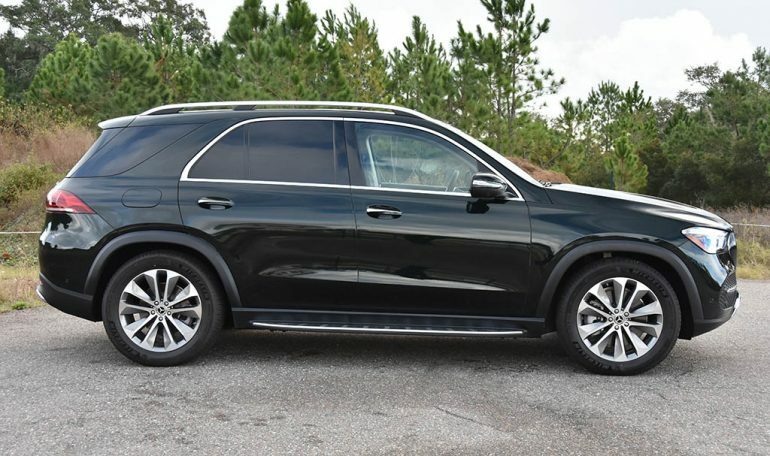 For the complete package of what the new 2020 Mercedes-Benz GLE 450 4MATIC offers, pricing is said to start at just $62,145 while the new 2020 GLE 350 base model with its 4-cylinder turbocharged engine and no availability of the trick E-Active Body Control suspension system will start at $54,695 while the 350 4MATIC (AWD) starts at $57,195. I suspect, from my educated guess, that my nicely equipped and almost-loaded test vehicle will price around $74,000 to $78,000. I’m totally convinced that the new 2020 GLE 450 4MATIC is worth its price and I am just about ready to pay for a chance to extend my wonderful experience.